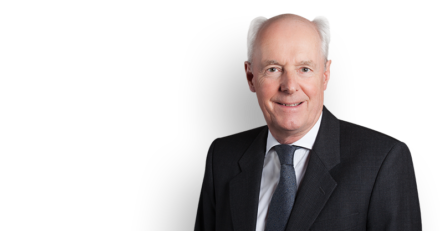 Philip Havers QC is representing “Martin” in his challenge against the refusal of the DPP to clarify the circumstances in which he will prosecute professional helpers in “right to die” cases. “Martin” suffered a stroke in 2008 which left him paralysed and able only to move his eyes. He has decided to end his life but needs help to do so. Unlike almost every other person in his position, however, he has no family or friends available or prepared to assist him and thus needs the help of professional carers or doctors. Whereas under the DPP’s guidance, it is clear that family or friends who assist someone to commit suicide out of compassion will not be prosecuted for the offence of assisted suicide, Martin argues that the position with regard to professional carers or doctors is wholly unclear. The Divisional Court rejected and the Court of Appeal accepted his claim for judicial review of the DPP’s refusal to amend his guidance so as to provide additional clarity. The Supreme Court, sitting as a Court of nine Justices, have held that the Court has power to declare the law which criminalises assisted suicide incompatible with Article 8 of the Convention but, very unusually, before making such a declaration, the Court has first given Parliament the opportunity to debate and to consider legislating in order to allow those involved in this case, and others like them, to end their lives and the Court made it clear that it expects Parliament to debate legislation “in the near future” and, if it did not properly do so, the Courts may then issue a declaration of incompatibility. Moreover, the Court documented a statement made by the DPP during the hearing, by way of clarification of her policy, that an individual member of a profession, for example a doctor or a professional carer, who does not have previous influence or authority over the person who wishes to die and whose only purpose is to assist that person to commit suicide and who provides a service that a family member would not be prosecuted for providing, will be most unlikely to be prosecuted and held that although it would not be appropriate at this stage to direct the DPP to review her policy in the light of this concession, she now has a duty to do so. It follows that in many ways the Claimants have succeeded, albeit that the Court has refused, at least at this stage to grant them any express relief. The case was linked to that of Tony Nicklinson, who passed away at the end of 2012.